Dense, complex and remote, the 4-million km2 Congo Basin is perhaps the continent’s least explored wilderness. Congo Conservation Comapny has combined two pivotal areas in this magnificent sphere – the 13 000 km2 Odzala-Kokoua National Park in the north west of the Republic of the Congo, and the 7 500 km2 Sangha Trinational, a UNESCO World Heritage site, a collaborative protected area from the Republic of the Congo, Cameroon and Central African Republic. Within the Sangha Trinational is Dzanga-Sangha Special Reserve. 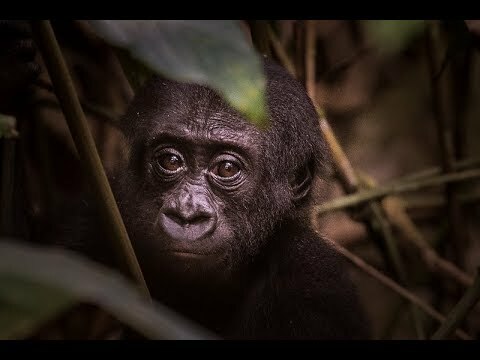 Gorilla protection hotspot: Home to the pioneering research of the western lowland gorilla. Leading conservation initiative: Preserving a vulnerable rainforest, the “lungs” of our planet. Outstanding adventure: With minimal impact on the ecosystem: tracking gorilla on foot, forest walking trails, kayaking, river walks. Discover rare species: Forest elephant, forest buffalo, bongo, sitatunga, various monkey species and rare birds in pure wilderness. Dzanga Baï: Lose track of time from the platform, witnessing hundreds of animals as they visit this mineral-rich clearing. Pangolin research: Be inspired by the research and conservation work done at Sangha Lodge to save pangolins. Hunt with the Ba'Aka: Understand an ancient way of life as this tribe allows you into their daily routine. Explore more: See trees taller than you have ever imagined in the Valley of the Giants, rare picathartes bird species, waterfall hikes.